Read ViewThe Pestana Hotels & Resorts group operates almost 50 hotels worldwide. Its flagship UK property is the four-star Chelsea Bridge Hotel & Spa in London, which opened in 2010. 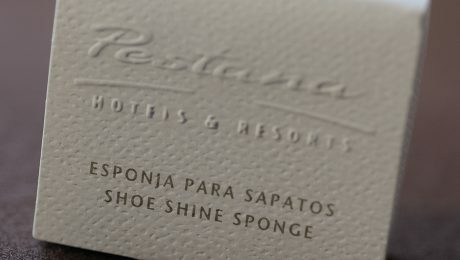 Pestana originally commissioned us to produce the hotel’s launch collateral. The success of this first project led to a retainer relationship, under which we’ve provided creative brand support ever since. Each month, we assist with developing and producing brand literature and signage, and the hotel’s every-changing tactical marketing and advertising requirements. On the strength of this creative support, we’ve extended our relationship with the group, and now offer similar services to its hotels in Berlin and Barcelona. We’re delighted to be involved in helping a major brand to develop and enhance its brand representation around the world. 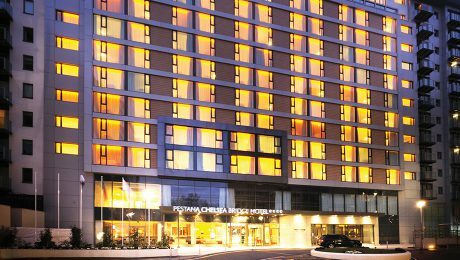 Pestana Chelsea Bridge Hotel & Spa is nestled between the scenic Battersea Park and iconic Battersea Power Station, London. Attention to detail is carried through to in-room items with blind emboss and gold foil treatments onto luxury stock papers.